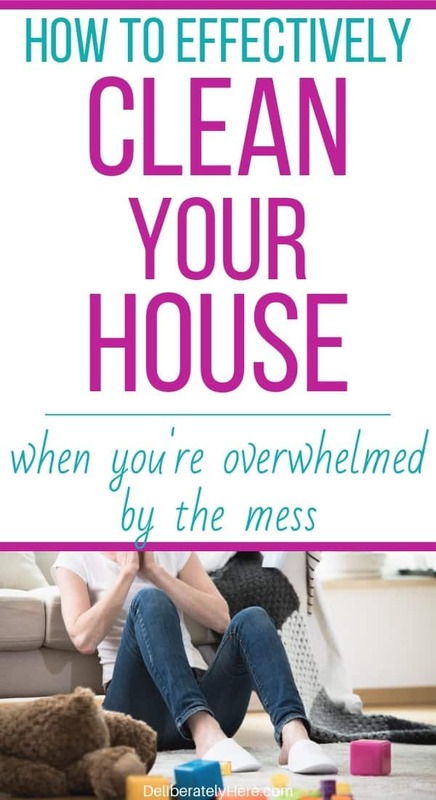 Have you ever been so overwhelmed by the mess in your home that you don’t know what to do? You don’t know how to clean when you’re overwhelmed. …but you don’t know what to do to start. 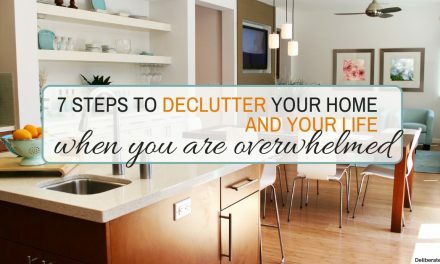 Not only are you wondering how to get motivated to clean when you’re overwhelmed by the mess, but you’re also wondering what to do to start cleaning when your house is a disgusting mess. You know the kind of mess I’m talking about. But first, here’s the kind of mess I’m NOT talking about – a few day’s worth of crumbs on the floor and kids toys in the living room with a few scuff marks on the walls. We’re talking about the kind of mess that leaves you paralyzed when you look at it. The kind of mess that has swallowed your house up and left you with a home that has piles of laundry everywhere, dirt, crumbs, and who-knows-what-else on every floor, surface and crevice. Where dishes have been piling up for days (and we’re not just talking about on the counter…), clutter has taken over and there is food rotting in the cupboards (and possibly under the sofa, too). The kind of mess that feels consuming – like it’s not just the house you live in, but it’s becoming the person you are. The kind of mess that is too far gone. I know what it’s like to feel like the mess is too far gone. Like there’s nothing you can do about the disgusting state of your house. To feel ashamed, helpless, exhausted. To be mad at yourself because how on earth could you have let your house get so out of control? To feel pathetic for not being able to do anything about the mess. Some people won’t understand this kind of mess. Some people (you know- the ones that have a couple crumbs on the floor and scuffs on the walls) don’t know what it’s like to have a house so messy that you feel overwhelmed and physically paralyzed from it. Some people don’t understand this kind of mess. If you ARE someone who knows what the mess that we are talking about is like and you’re wondering how to get motivated to clean when your house is so far gone, you’re in the right place. The first thing you have to do is give yourself a break. No one is perfect – and you’re not a failure. Just because your house is so far gone doesn’t mean you failed. 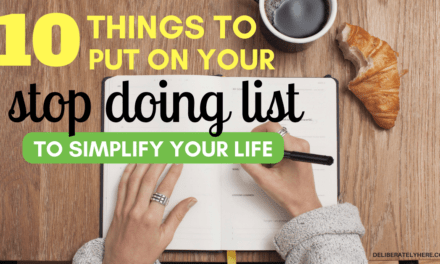 Get up, pat yourself on the back, and get ready to tackle this overwhelming mess. My house is a disgusting mess. Help! THIS is what I recommend to anyone struggling with an overwhelmingly messy house. 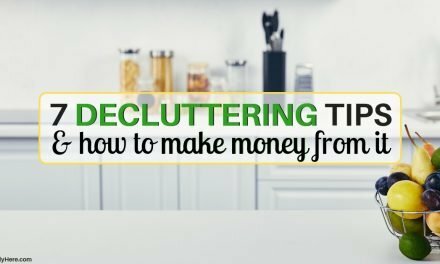 Hilary runs one of the best home organization courses out there. She knows the stress and anxiety that comes with a house that is too far gone. She learned how to face the mess head on with REAL results. And then she made a course to help other people like us learn how to face the mess, too. 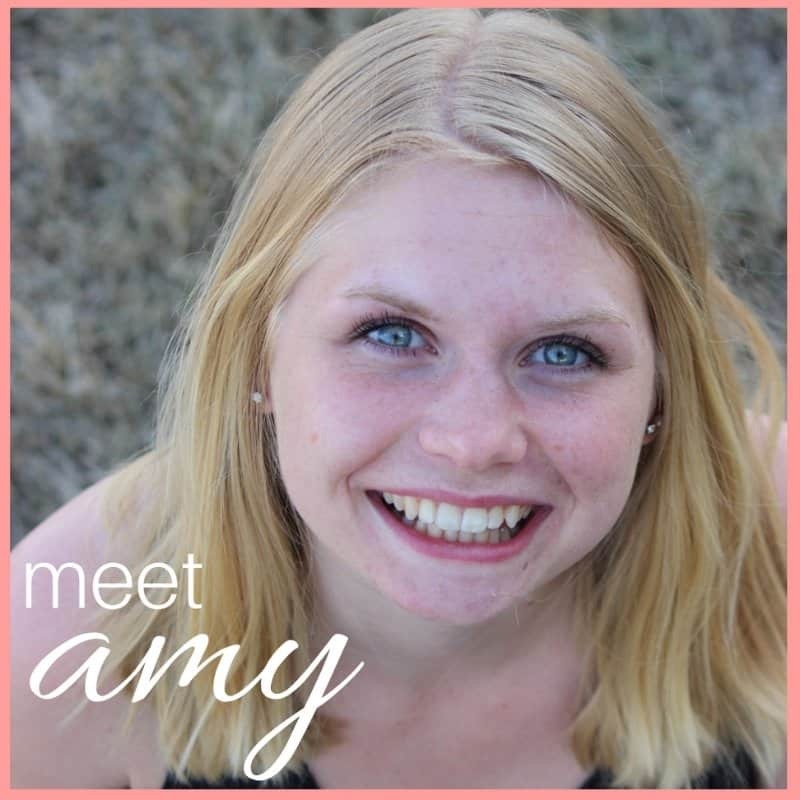 If you’re ready to have someone walk you through EVERY aspect of home organization, Hilary is someone you need to know. Click here to see her course and use the coupon code DELIBERATE10 to get 10% off. If you are bound and determined to face this mess on your own – here’s how you can do it. The first step when it comes to getting motivated to clean when you’re overwhelmed by the mess is to start small. And I mean SMALL. Think about where you could start in your house. Now whatever you just thought about starting with, go even smaller. Start with one tiny thing. One small surface. Whatever tiny area you decide to start with, grab ONE thing from that area. It doesn’t matter if there are 50+ different objects on half of the coffee table – start with one. Pick ONE thing up, and go put it away. It seems minuscule, but do it anyway. It seems like a waste of time, but I promise it’s not. This will make a world of difference. Once you’ve gotten ONE thing put away (or thrown away), go back and pick up another thing. And keep doing this until you have no more things on that half of the coffee table. Now, look at what you’ve accomplished. It might look like a small accomplishment to some people, but you just did something huge. Don’t overwhelm yourself or tire yourself out – that’s when the mess starts to feel like it’s too much and too overwhelming to handle. But it’s not. When you go to clean a room or area of your house, never, ever look at it as a whole. Don’t look at all the piles of laundry, scattered papers, dishes and toys that are laying in the area. Instead, break it up into sections (small sections) and ONLY look at one section. Then clean that one section, one small thing at a time. Then another small thing at a time, until the whole small section is cleaned up. You just did something huge. Don’t move on to the next section of the room until you have removed everything from the section you’re focusing on. And never, ever, EVER look at the other sections of the room. Just look at the one you’re working on and tell yourself that once you get this small section cleaned up, you’re done for the day. Then come back tomorrow and work on the next small section. SMALL things have to be done to get BIG results. If you’re struggling to know where to put something or you can’t seem to get yourself to look at the room in sections and you find yourself getting overwhelmed by looking at everything that needs to be done, don’t be embarrassed to ask for help. Have someone patient and willing come over and sit with you. Have them pick up one thing and ask you where it goes. Then have them pick up another thing until everything from one section is gone. You can also use the things that are taught here to help you when you feel lost and need some extra help. Remember – it’s NOT a bad thing to ask for help. You don’t have to be embarrassed by the mess – if you’re here it means you’re trying to start working towards a better home and a better life – and this is the first step towards it. Do you struggle with a messy house? Are you wondering how to clean when you’re overwhelmed by the mess? 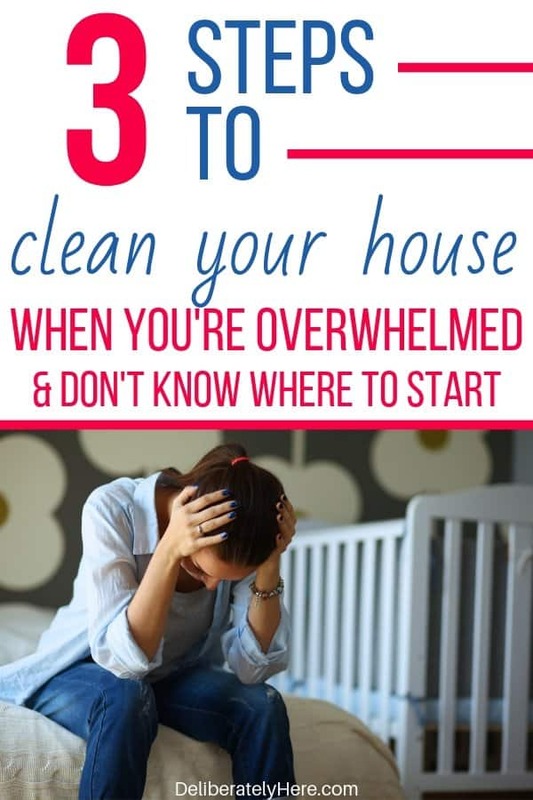 If you’re ever wondering where to start cleaning your house, use the three steps we went over to get you started even when you feel like it’s hopeless. It’s not.